David's parent's were a lot older than my mum and dad and when we got married I didn't have much in common with them, apart from the fact we all loved David. Six months after our wedding, David's dad died. I realised that I needed to build a relationship with his mum, but I was young and I didn't really know how to. I worked out after a month or two that it was easier if we saw her more, so we invited her to come to our place for dinner every Monday night. Every monday night for the last almost twenty years, Nana Robbie (as we all call her) has come for dinner. We hardly ever forgot she was coming and she never knew if we had! She has seen us in good times and in bad. When the kids have been good and when they have been feral savages. We always try and have something nice for tea on monday nights and also to have enough for Nana to take some home for another night or two. We joke that we only eat dinners on Monday nights because Nana is coming, she worries that it's too much work to have her, whereas actually one more doesn't really make any difference to cooking dinner. We know all about her weekly routine, the "girls" (average age 90) she spends time with and all about her sister Jean in the rest home. It's a good plan. All our children have grown up with this plan and Nana is just part of our lives. Last Monday night Nana was running late (as she does) and a bit flustered, but she enjoyed her dinner and told us a funny story about her uncle. We all laughed and she laughed with us and then she took a pottle with enough soup for four dinners and went home. That night she had a heart attack but didn't ring us till 8am the next morning to ask for help. She spent a few days in hospital and now is recuperating at the cousins house. Today is Monday again, and as I go about my Monday afternoon duties, I can't help reflect to last week and how we nearly lost her. I'm so so glad that we have been working on our relationship for so long. It's not about the fancy events and flash dinners, it's about her being a part of our family. It's about her at the table with us, sharing our lives together. Somehow it doesn't feel like Monday today, because Nana is not coming for dinner. 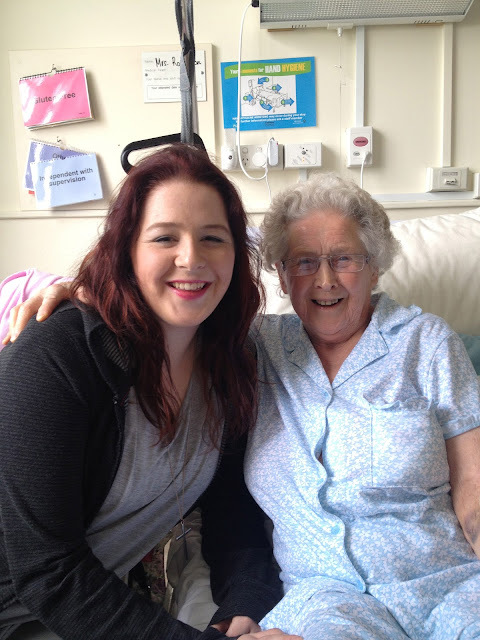 But I'm so grateful for all those small amounts of time that have added up to a big part of our lives, without me realising it, she has become a part of our family that whatever happens (nana is 90) can not be taken away from us. 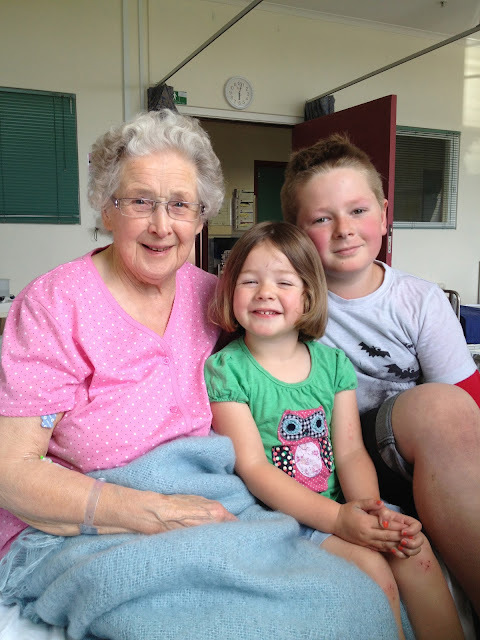 Nana Robbie has been woven firmly into our family tradition and we will always have that. She's not just a dithery old lady for special occasions, she's a dear and greatly loved family member. Aren't we just so blessed? Do you have a relationship you've had to work hard at? Or does this post remind you of someone you want to build a bridge with?? This touched my heart strings today as I've been thinking a lot about my late MIL as she lived with us for a while and my Parents live overseas (in the South Island) and I miss them terribly. So do my children, their grandchildren. Lucky you for your Monday nights! I imagine she is just a little sad not to be having dinner at yours tonight too! Oh Deb! Why do you do this to me! My M.I.L and I do not get along. It all started when she just said "since I met you when you were 14 I just never liked you". It hurt my heart so badly and since then many terrible things have happened. I would prefer to cut her out of my life completely. We stopped going to family dinners and we only have her over very rarely when she asks to come over. In between visits we hear nothing from her for MONTHS and she lives literally 2 minutes away. So much heartache and my (bad part) of my personality doesn't suffer fools and I cannot stand passive aggressive people. You are blessed indeed. I grew up with oodles of grandparents and it was wonderful! Sunday dinners were our special night. And yes, my mom had to work at it. My mom's mom was not always a nice person to her and my mom struggled but she kept having her for dinners on Sunday. far out your posts have been SO inspiring lately Deb! everytime i visit here you have given me so much to think about. Love posts like these that "stay" with me during the week. This actually reminds me of my Nana who I miss alot.... we always had sunday family dinners and they will always be special memories for me. Loving exploring your blog...how did I miss this?? I love your quilts! Well how could someone not like you dear deb? You have a huge heart and it shows. I have struggled with the relationships with both sets of parents, mine and his. But I will say my MIL has grown as a person and we do alright. My parents don't want to be involved and that is their problem...good relationships do take time and sharing. Thank goodness I took the time to be there for my kids, we are all close and I think given what we have faced together we know the strength of family. I love all things that form a tradition. I've always wanted to live near my parents as I would love to have regular dinner times with them...but never even considered my in laws in that equation. We lived near them for 10 years and hardly saw them. And I'm glad your MIL is doing ok. doesn't she have a beautiful smile! Glad Nana is on the mend. I love your dinner tradition. I'm sure it has had a positive effect on your entire family. Ah Deb, this bought a tear to my eye, especially seeing the lovely pics of your kiddlets and their Nana. 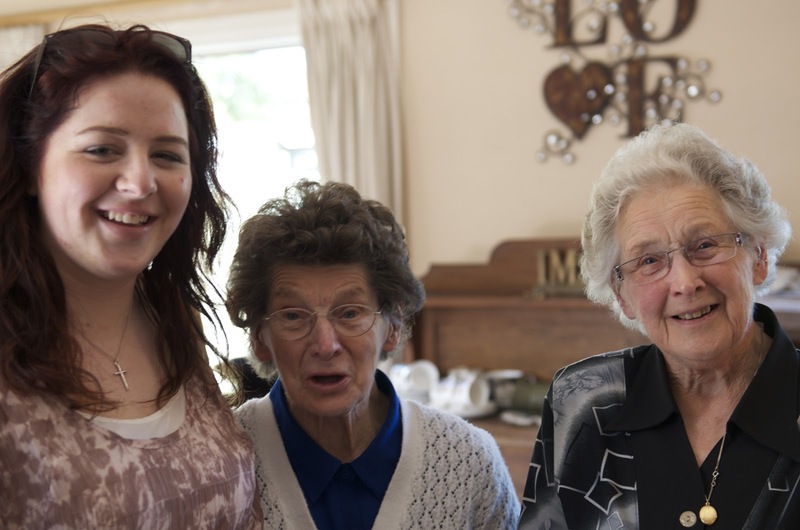 I was fortunate to have a very close relationship with my maternal grandparents and had my nan around til I was 23. I have such precious memories of my grandparents. 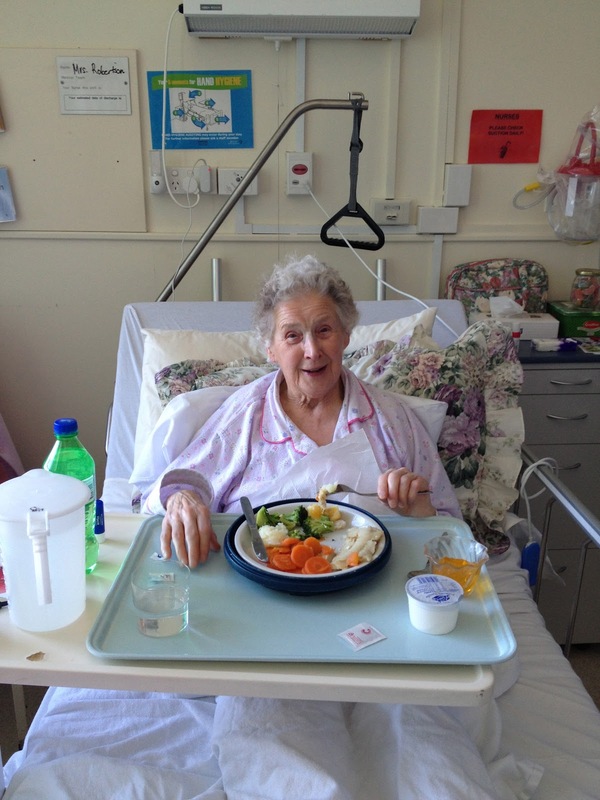 I am so glad that Nana Robbie is still with you - she doesn't look a day over 80 and clearly enjoys her tucker! I hope she mends well and soon and is back at your dinner table soon.